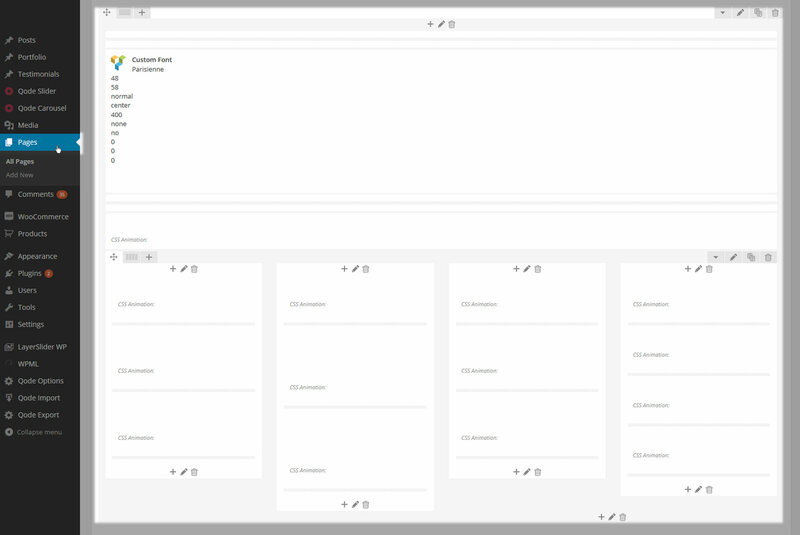 Navigate to WP Admin -> Pages and create a test page. The Qode Options panel is where most of our theme options are set. The footer area has a dedicated tab inside the Qode Options panel as well. The other option is to select the Regular Footer where there is no overlapping - the footer will be shown right after the content of the page and have a stacked layout, as you can seen on the majority of websites online. Right below the Uncovering Footer option, a default background background image can be set. This image will stretch across the whole footer area of your site. This is a general setting that can be overridden once you get into styling Footer Top or Footer bottom area. The basis of footer structure represents a grid column layout. This layout technique lets you build your content through widget areas and have them positioned in a clear and responsive manner. Let’s focus on Footer Top for now. By selecting the number of columns, the alignment options will appear below. Colors and Background Image properties for this area will override any general setting you might have applied to the Footer Background Image initially. Footer Top Border - Setting the Footer Top Border option, you can separate the Footer Top area from the content above and set the separator color. Also you can set the height of the footer area, and if you have the footer in grid you might want to check the option for Top Border in Grid as well. Footer Top Padding - With Footer Top Padding you can set all four paddings: Top, Right, Bottom and Left. 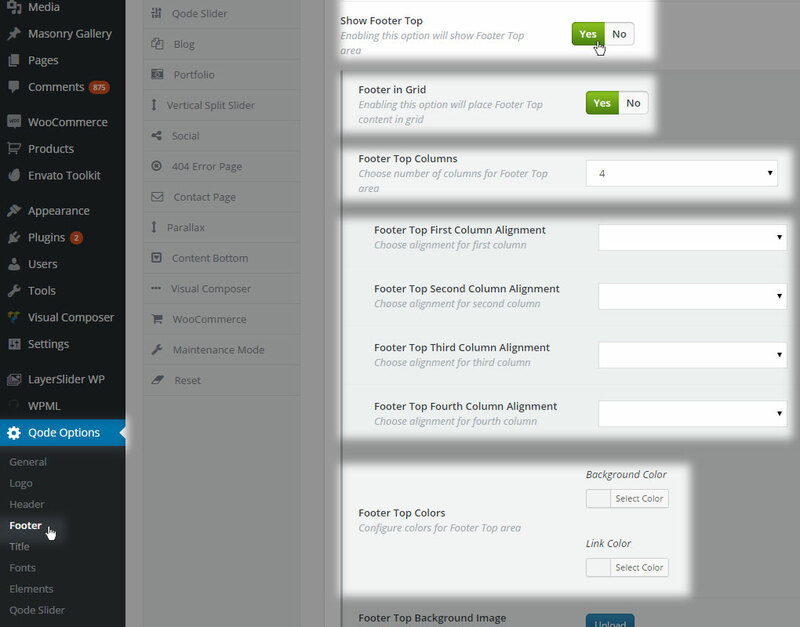 This way, by managing Top and Bottom values you can set the height your footer area will inherit. Angled Shape, Angled Shape Direction - Using this option you can create an angled footer and set its direction and background color. An additional option for Footer Bottom Columns lets you choose three columns maximum. Also, you can use Custom Menu Item Spacing. This option is set to adjust the spacing between menu items located in the custom menu widget. 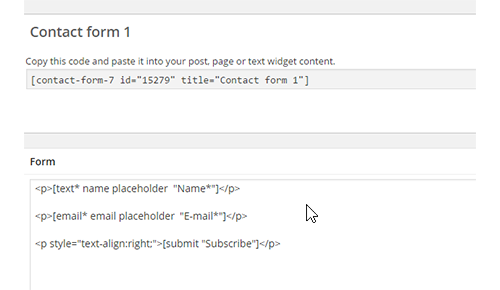 To add content to your footer please navigate to WP Admin -> Appearance -> Widgets. This is where all your footer widget areas (sidebars) are located. To add content to one of these areas you need to ‘drag & drop’ a widget from your left-hand side. Many engaging footer layouts on our demos use Visual Composer shortcodes placed directly into a Text Widget in one of the footer widget areas. We’ll go more in-depth on how to create some of them in the following sections. Similarly to placing your original logo you can add another image as well. 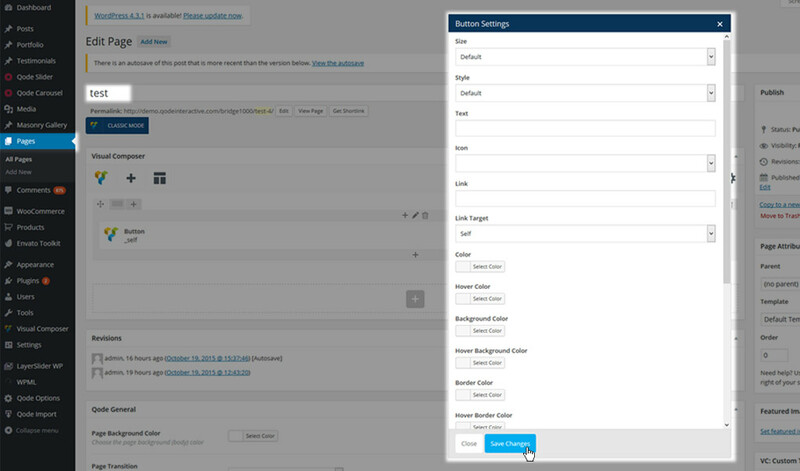 first, you should check if the footer bottom is enabled in WP Admin -> Qode Options -> Footer -> Show Footer Bottom. Depending on the purpose of your website it might be useful to have newsletter subscription field available for your site visitors throughout the site. One of the more convenient locations is usually a widget are in the footer as it’d be present on each page a site visitor navigates to. Html_class determines a previously determined style in WP Admin -> Contact Form 7 to be bound to this particular form. You are able to use any native WordPress widget on your website with the Bridge theme. You just need to drag a widget item into your desired widget area and tweak additional settings. 2. Using Visual Composer add the shortcode. We recommend that you let this serve as placeholder layout and modify the href attributes to match the links to your existing pages and enter the corresponding labels. as we did on this demo. It’s important to know that none of the options from Qode Options -> Footer will be applied to this new footer area. When you are copying and pasting HTML shortcodes to a text widget in one of the footer widget areas, please double-check the opening and closing tags. Due to improper HTML structure unwanted layouts can appear.